WARNING: Image heavy blog entry. Please click the photos to see bigger versions. Just steps away from Nakano station, this is the place your otaku dreams are made of! For those of you who've never heard of the Japanese word, "otaku", it is a modern slang referring to the great enthusiasts of anything related to anime/manga, Japanese video games and the like. 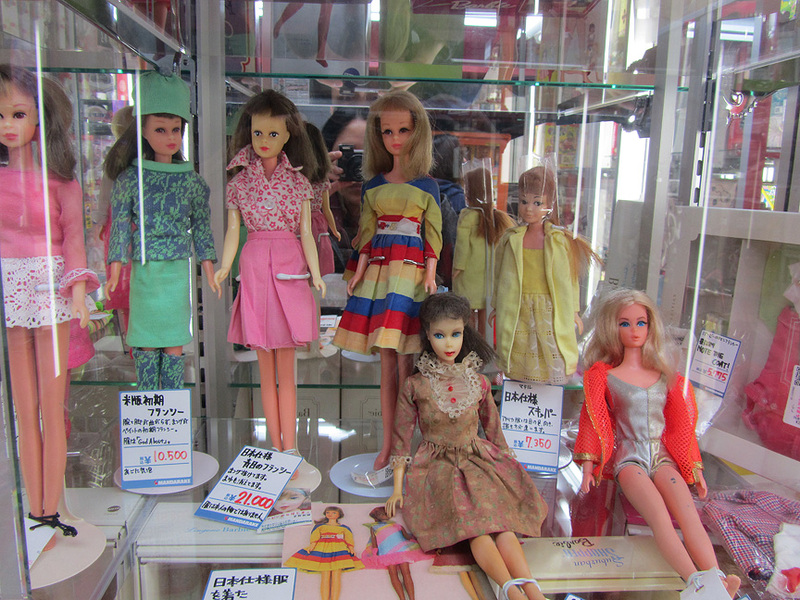 And yes, there are dolls at Nakano Broadway, new and old! 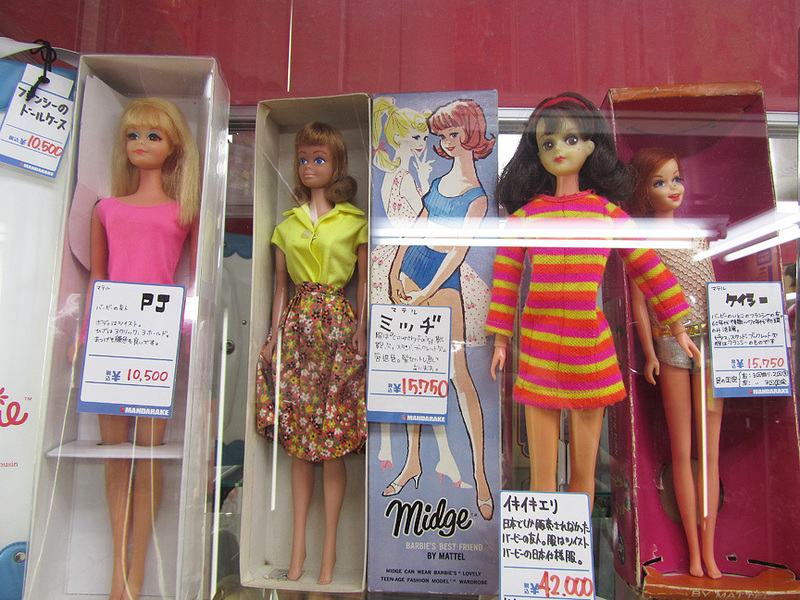 There were literally floors upon floors of different types of toys from Japanese to North American. 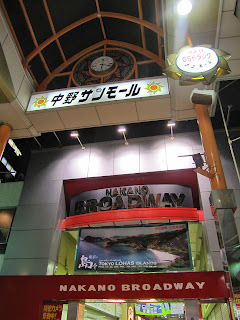 I spent an entire day there and could've spent another day or two for sure. 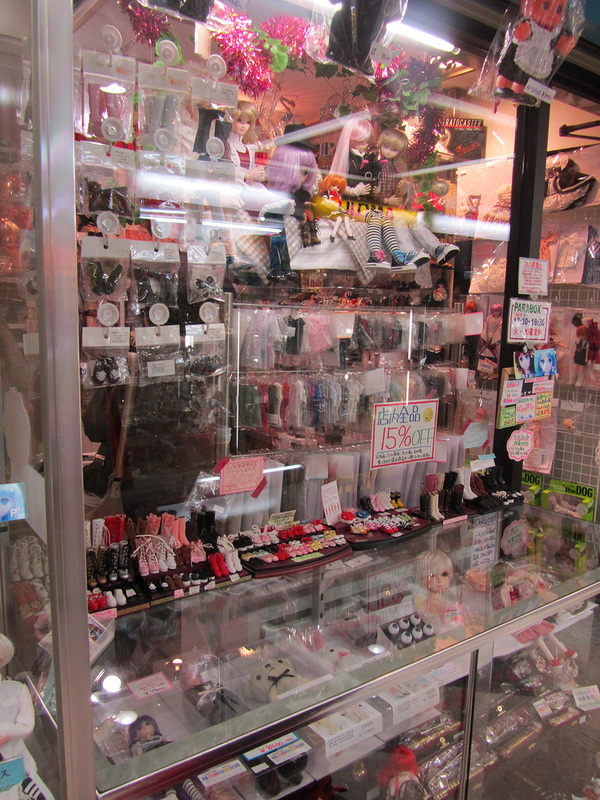 It was like a big toy shopping mall. 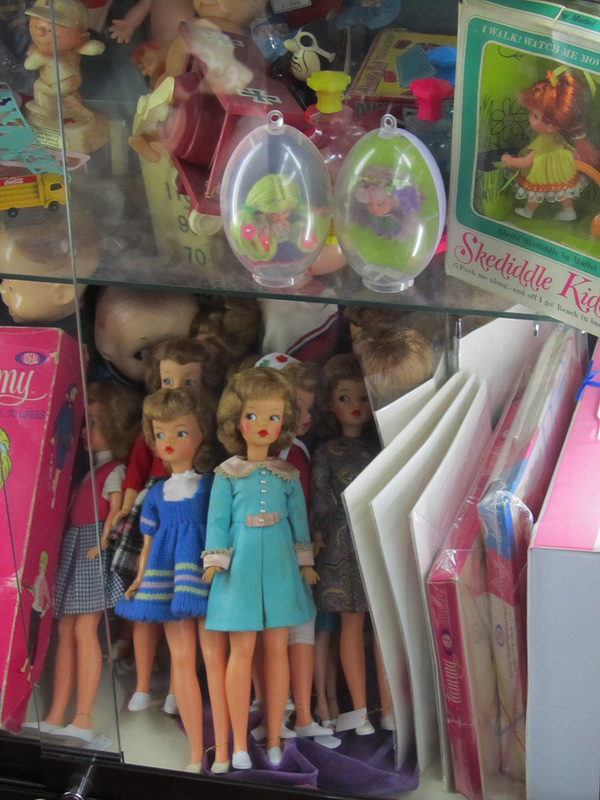 Not a toy store. 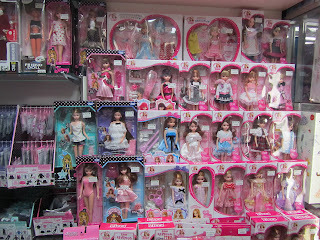 A toy shopping mall! To say the least, I was like a kid in a candy store. Complete visual overload. Didn't know what to look at first. 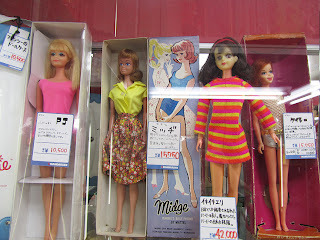 Felt light-headed from all the different types of pretty pretty dolls and doll accessories I was seeing. And to top it all, I had to keep checking myself if I was drooling in the mouth! 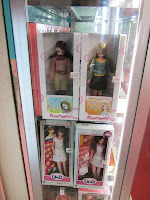 Different types of anime dolls were there too including the Pure Neemo dolls that I always coveted and avoided in fear of a new obsession. 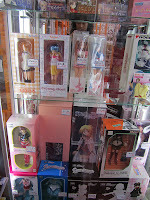 When I saw them with my own eyes, those days were over for sure because I left Japan with one....At this point, I would like to congratulate myself for only leaving the country with one! 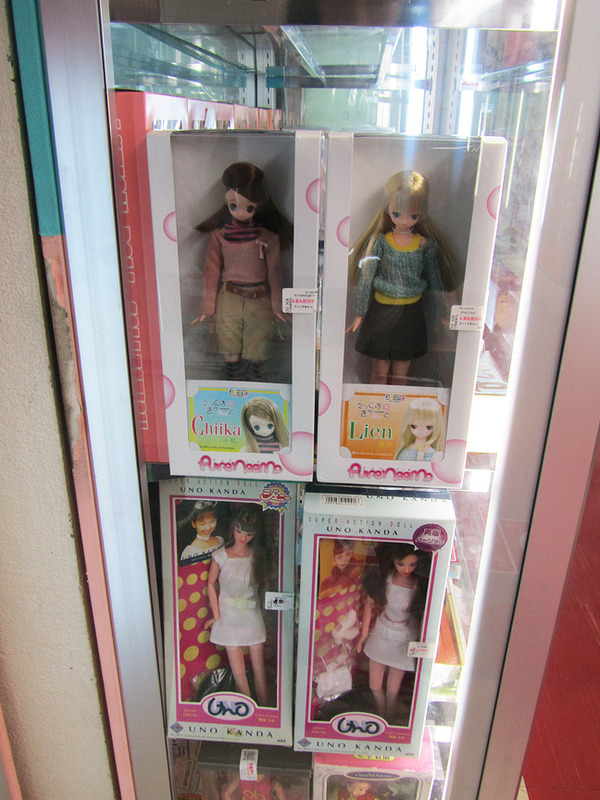 Of course it wouldn't be right if Licca, the 11-year-old Japanese fashion doll with unrivaled local fame, wasn't there. 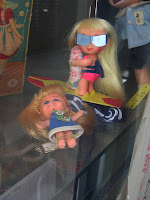 Lo and behold, she was, along with another fashion doll who's younger in years but older in looks, Jenny. By the 6th floor I had snapped pics of display cases left and right...Did I mention photography was not allowed???? So when I saw some vintage Mattel Francie dolls....I snapped more pics! On that note, I'd like to end this blog entry with a pic of Iki Iki Eli doll (Living Eli), a vintage Japanese friend of Barbie. By the time I had taken these last shots, somebody actually opened a door at the corner of the room that I swear was not there before, with a very stern-looking Japanese dude who peeked out of it quickly. 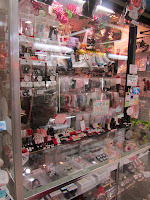 I suspect he was watching me from a hidden camera all along, wondering when the hell I was going to stop snapping away. Ooops! 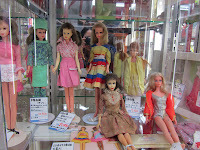 OMG such wonderful dolls! Sure this is a paradise! 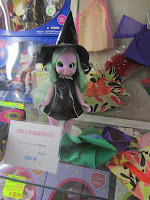 Oh, thank you so much for coment in my blog even if you do not understand portuguese! I bet it was a lot of fun. I'm jealous. Talk about a kid in a candy store. I probably would have spent all my money there. 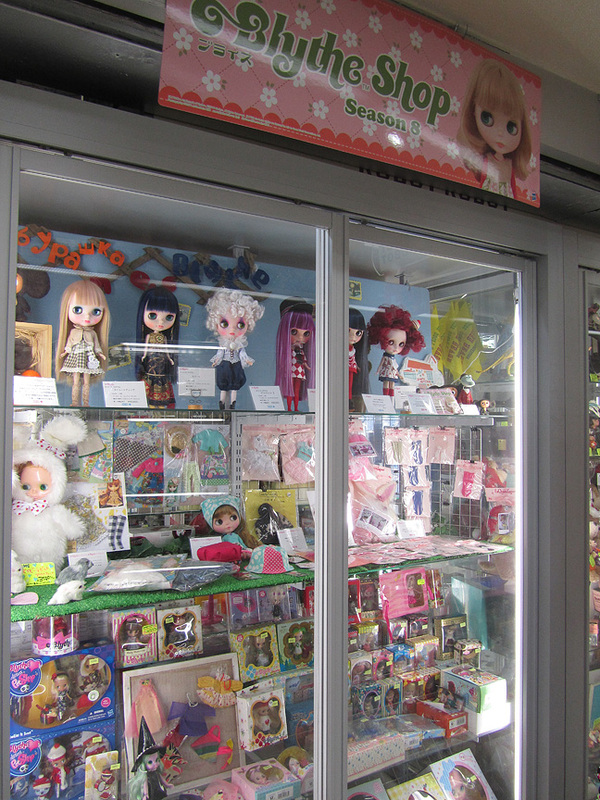 I didn't know about the no pictures though - I was snapping away all over the place 0__0"
LOL, the yellow 'no photography' stickers were right on the display cases! I didn't notice them at first either and when I did...I had Helen take a pic of me in front of it! Hahahaha!